WOW! 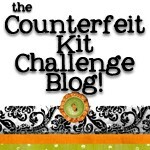 What a huge month it was for the Counterfeit Kit Challenge Blog last month! We sure had lots of fun and we hope you did too. 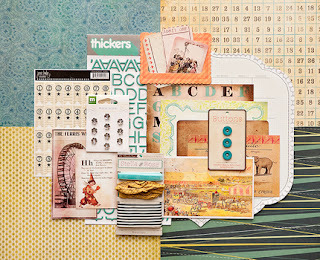 Ok, enough small talk...I know you want to get straight to this month's Inspiration Kit ...so, drum roll please...the March 2011 Club Kits for this month's inspiration kits are put together by Studio Calico...you can visit their blog at http://www.studiocalico.com/ . You may notice that I said "kits" rather than "kit", because Studio Calico released 5 kits this month (one main kit and 4 add-on kits). Not to worry though, they are all relatively small kits, and the beauty of the Counterfeit Kit Challenge...you choose how many you would like to counterfeit! After counterfeiting all 5 myself I realized that there is NO WAY I can use them all up this month. But that's great...I'll keep the unused ones on hand to use when I need them. ﻿ What's the next step??? Try and match every piece in one or more of the kits as close as possible to something from your supply stash. Use the "kits' contents" as inspiration, and recreate your own kit(s) with the same types of supplies, but in a different color or style that corresponds better with your preferences/photographs/scrapbook style/tastes. 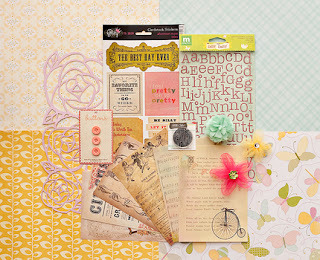 Make an even smaller "page kit" or "card kit"..."counterfeiting" just a few items from this month's kits as inspiration. Using the color scheme from one or more of the kits as inspiration, try to re-create kits of your own using whatever supplies you have available. Tomorrow we will post pictures of the inspired Counterfeit Kits we put together from our stash of supplies. The link for you to share pictures of your Counterfeit Kits with each other is here. Over the next week, we will add links to tutorials for counterfeiting many of the embellishments in this month's inspiration kits. 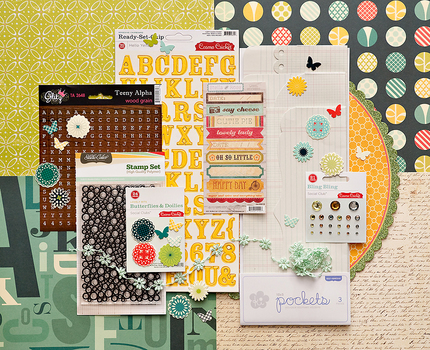 Over the next month, we will post mini challenges to USE your new kit(s), as well as organize a blog hop to share your creations! We hope you all find some inspiration in the kit club we choose this month!!! If you aren't sure where to begin, check out the "Hints and Tips" page of our blog for some help. Feel free to leave a comment, questions, or any suggestions!!! We look forward to hearing from you. We had so much fun looking at everyone's work last month, that we decided to have another give away this month! Since we don't have a kit club sponsor this month, Bethany and I have put together 2 mini prizes. There will be two winners, one will receive a $10 gift card to Ella Publishing Co. (donated by Bethany) and the other winner will receive this "vintage ephemera" pack that I put together. Again, we are going to use ONE Mister Linky throughout the entire month. To find the Mister Linky Post quickly, there is a link on the top right sidebar of our blog called "Mister Linky Post". Every time you would like to link a picture of your counterfeit kit, or a layout you made with your kit, please link it to that Mister Linky, also found here. We will choose 2 numbers randomly at the end of the month, if it's your link number, you win! The more you link, the more chances you have of winning! Ready, set, go!!! love it! 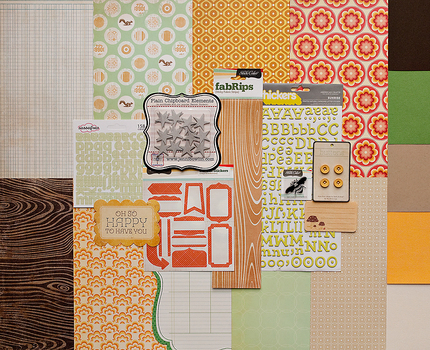 i'm hoping to work on it today as I have couple layouts to whip out that I'm plannign to use this kit as inspiration! oooH this is a yummy kit - no wonder it's sold out! Butterflies, bees, pretty pastels-I might empty my stash with this one! Love this kit. I was so looking forward to another counterfeit challenge. Can't wait to get started on pulling this kit together~~ Having a lot of fun here!! Ohmygosh!! I love this month's inspiration-not the one I guessed, but I LOVE this one! It will be hard to hold back on this one! I LOVE Studio Calico and am absolutely thrilled that our challenge this month is to counterfeit them. I'm going to have to get started on this today! Didn't I tell you all you would just LOVE this month's kits? I've made all 5-I've got to do a lot of scrapping this month to even make a dent in my kits, lol! I am going to love this based on the inspiration board! That little squirrel caught my eye and of course all those butterflies! Great choice! This kit is so fresh and full of fun, bright colors! Very uplifting, very spring! I am excited to pull out my yellow papers and butterfly embellishments. Love them! Can't wait to get into my stash and duplicate a few of those! Wow! This is so outside my box, I'm so excited to dig into this and see what I'm gonna do! There's so many directions I can go, my head is spinning - in a good way! I had been looking at this kit after reading about it on the Two Peas Messageboard- how it sold out so fast. I just had a feeling it would be the Counterfeit Kit for March. So happy I was right. I've already been thinking about using my stash to make this kit! I have been counting the days until we forged out kits. Mine is going to look a bit different, as I have a stack of prints I want to get scrapped in the next couple of weeks. They are not butterfly and bumblebee friendly photos, so I used the kit for inspiration and went with darked colors. I spent the last hour getting my main kit ready and started on two of the add ons. I really think this is going to help me get productive this month. I love these smaller add on kits! Not so overwhelming. 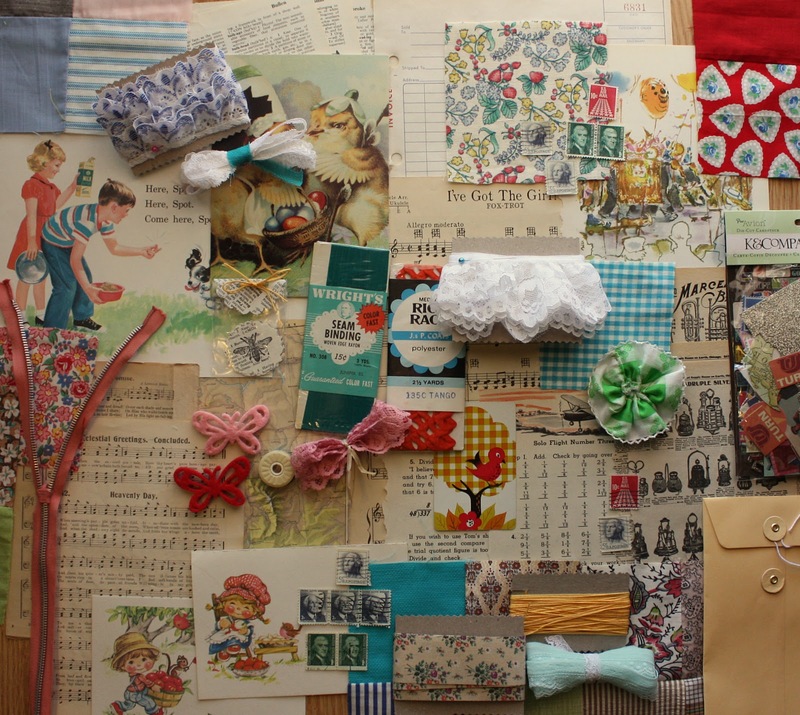 Looking forward to spending a rainy afternoon in my scrap room putting my kit together! I knew I saved that old October Afternoon woodgrain paper for a reason!! I love these kits, and have been drooling over them ever since reading about how hot they are on Two Peas. It's so cool that we have five whole kits to choose from, as well! I can't wait to dive into my stash! I love this month's choice. Very inspiring. Don't be intimidated. :) We will walk you through it. If WE (lovely moms and busy go getters) can get all 5 kits done in just a few days, you can do it!! Love this new kit!!! And the vintage ephemera giveaway (crossing my fingers that I win -- as I'm sure everyone else is, too)!!! I'm not sure I'll make all 5 kits this time around. I wasn't as productive as I'd hoped to be with last month's kit, so I'm still working with that... But I'll put together something smaller this month (if I can control myself). I haven't even looked at the kits yet, but I'm a Studio Calico fan so I know these are going to awesome. Off to start making up my own counterfeit kit now. Awesome! I already starting DIY some of the embellies included in the SC kits this month!! Will be linking up! Awesome choices this month!! I'm always in LOVE with the SC kits, but never want to spend the money! This is a perfect way to build my own! :) YAY! 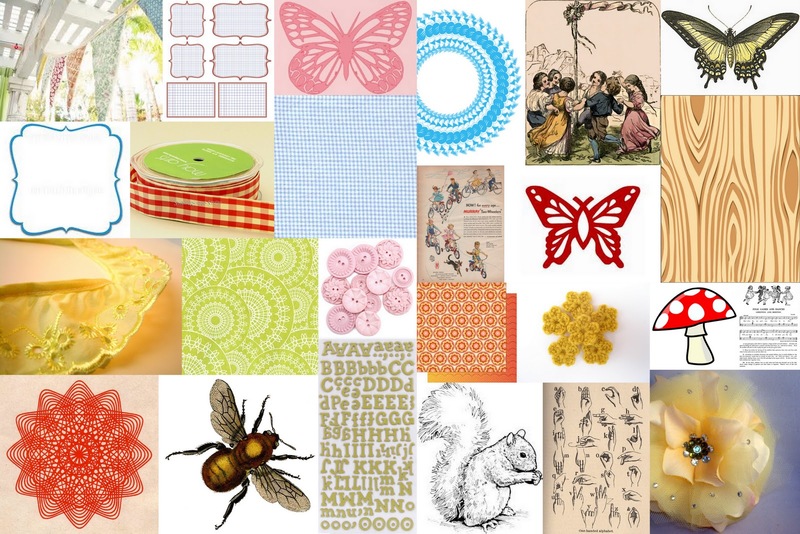 This one gives us so much choice thank you I have enjoyed putting my kit together and I have done my first layout. I just tried it out, it worked. It has the 'sold out' sign...but the picture comes up like it should. Try it again and let me know.